In 1829, Agnes Magnusdottir has been charged with a brutal murder and is awaiting her execution. During this time she boards with a family in the countryside and is counseled by a young priest known informally as Toti. An unwelcome guest to the Icelandic family who is forced to take her in, Agnes is a source of tension for the family, especially at first. As her execution date draws closer, her story is slowly revealed. 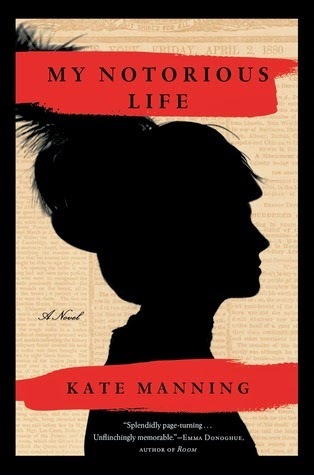 Lauded by critics, blogs, and everyone I know who has read it, I was really looking forward to this historical novel about a real-life accused murderess. But I found it slow, even tedious at times, and through most of the book I just kept waiting for something to happen. When the novel opens, the trial is already over, so almost all the reader gets to experience is the waiting. Of course we don't know the real story of what happened that night, and Kent does her best to convince us that Agnes not the murdering type. Predictably, the truth is not simple, but when all was revealed it was not much of a surprise, certainly not enough to justify the buildup. Parts were in third person and focused on Margret, the complex mother of the farm family who I would have liked to get to know better, and the priest Toti, who Agnes chose to be her counsel. Toti was young and unprepared for this task, and he became quite drawn to Agnes, struggling with his feelings throughout the story. I enjoyed the parts about Toti most of all. Agnes herself was difficult for me to sympathize with at times. She begins telling the story of her life to Toti, and then to Margret, leading up to the double murder at Natan Ketilsson's farm. It was clear she had a complicated relationship with Natan, who she was accused of murdering along with two alleged accomplices. He was known as a womanizer, but since we learn this up front, it's difficult to share in Agnes's feelings of betrayal when she comes to that part in her story. In fact, in terms of her relationship with Natan, she seems rather naive for someone in her thirties. I think a bit of my problem with this book was that I listened to the audio instead of reading it. Christie's narration was good, but a bit high and thin and whispery when she did Agnes' voice, and I didn't care for that. It certainly didn't help a story that I already found rather boring. While listening to this (which I should mention took me over three weeks) I came across an article about a study that shows our minds wander more while listening to audiobooks than by reading, and that we retain less of the information. This reaffirms what I already suspected, and perhaps I got too cocky after my enjoyment of literary audio books like Beautiful Ruins and Rules of Civility. I need to go back to restricting my listening to young adult books and chick lit like I used to. Despite my feelings about the format, I don't think I really missed anything, and although I may have enjoyed the book a bit more had I read the print version I still don't think I would have liked it a whole lot. 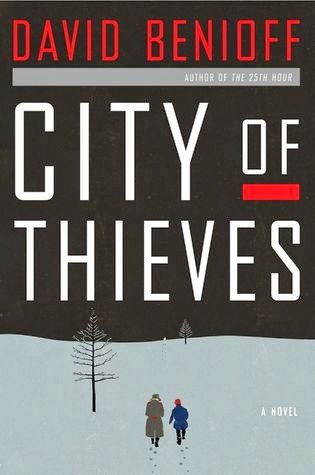 Usually I really enjoy books set in cold climates, but it needs a really good story as well and this just wasn't enough for me. The initial setup was interesting, as was the very end, but I'm afraid I all but lost interest in the long slow middle. I can appreciate the high caliber of the writing, but I'm afraid it just wasn't enough to sustain my interest. I'm obviously in the minority here, but I just couldn't feel enthusiastic about this novel. Chip Kidd is the author of several books, but is known for designing the covers of many more than he has written. 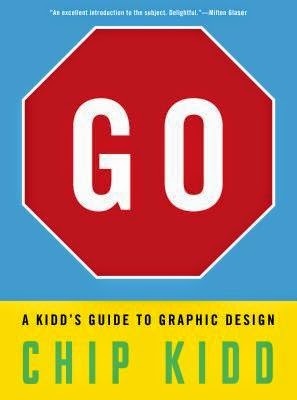 This graphic design primer is intended for kids and teenagers, but the clear text and visually appealing illustrations of various design principles is sure to appeal to people of all ages. Go isn't a book I would normally pick up, but grabbed a copy after hearing two of my coworkers enthusiastically recommend it. Divided into just six sections, the book begins by introducing the idea of graphic design. Kidd points out that design is ubiquitous - every single thing you see around you was designed by someone, and every little detail of it is intentional. He then introduces himself and his work and includes a brief history of design. The next four chapters each focus on one aspect of design: form, typography, content, and concept. Form, the longest chapter, includes everything from size and scale to patterning and color theory. Typography is all about typefaces, style, spacing, and even a little about the history of the written word. Content is about the purpose of the thing you're designing and how that informs its design. Concept bridges content and form, using techniques such as metaphor, illusion, or irony. Finally, the last chapter invites the reader to try several different graphic design projects and submit results to gothebook.com. Projects are as simple as collecting ephemera and combining them together for a design scrapbook, or as complicated as designing a logo to represent yourself. I can really see these projects as jumping-off points that would inspire the right kids to realize a love of design they might not otherwise know they had. Not having any background in design at all, most of the content was new to me and I learned a lot. I know I've said it before, but I have to emphasize how much I like nonfiction for young people. There's no pretension, just information set out in a clear, understandable way. It's large size sets it apart as an artsy book, and indeed the many photos and illustration make Go a visual delight. I read the whole thing in one sitting, and I'd do it again. In fact, I just might. 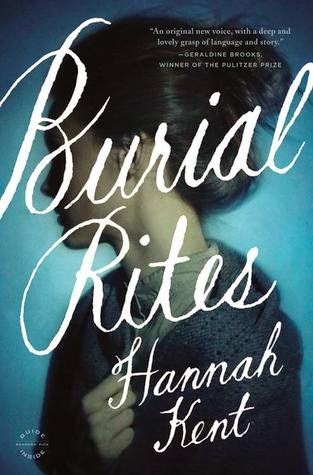 This novel was recommended to me as a book with Downton Abbey appeal, but I found it much more like Pride and Prejudice. Many of the plot points were very similar, and the tone was similarly light-hearted, thought it was funnier and bit more fluffy. The ending was predictable (especially if you're familiar with Pride and Prejudice) but by then it was clear this wasn't an especially literary or risky novel. It was just a good bit of fun. The whole premise was quite appealing. 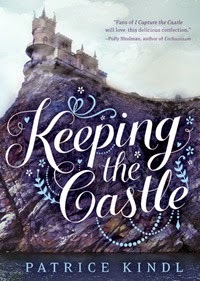 I like the storyline of a family down on their luck, living in a castle in disrepair, so poor they served guests minnows from the moat. The mean, superficial step-sisters may be a well-used trope, but it's one I like. And of course, I always like a bit of old-fashioned English-society romance. Althea was flighty and bumbling, yet likeable, and the male romantic interests ranged from slightly dubious to ridiculous. I always appreciate humor, which was really what made this novel. But there was also a rather delicious and scandalous secret that I didn't expect. This was a contender for my Not-So-Young Adult Book Group at the library and I'm actually glad we didn't end up reading it. Although I liked it well enough, it's quite fluffy and there's not a lot to discuss. That would have been an awkward meeting. It's been on my to read list for quite a while, and I've ultimately read it for the TBR Pile Challenge. This won't be a novel that sticks with me at all, but it made for a few pleasant and enjoyable hours of reading. The textured pattern of the Feathernest Raglan is made up knits and purls and not, as I had thought from looking at the photos, a lace pattern. That was a relief. But when I started knitting it, I realized that it was going to be more confusing than I had thought. The sweater is knit from the top down, so after knitting the neck the stitches are all marked off for the front, back, and both sleeves. Increases happen at the beginning and end of each section. The ones at the end are easy, but I had to mark the beginning of each of the pattern repeats and count back to figure out what those stitches should be. For instance, I would count the number of stitches before my marker and say "Now I have five stitches, so what are the last five stitches of the pattern repeat?" and knit those before reaching my marker and starting the pattern repeat from the beginning. It was fairly confusing at first, but got easier as I went along. It doesn't seem like I screwed it up noticeably, even though I've been knitting this while watching tv. Now I've finished the increases and separated the sleeves from the body. Several rounds of the body are knit straight before the waist shaping starts and I have to start thinking and counting again. I still haven't tried it on. I started a new sock and kept meaning to post about it, and now it's finished already. Here's a picture from yesterday when I was partway through the toe decreases. This is another pattern from Sensational Knitted Socks, called Traveling Eyelet Rib. I felt a strong need to knit something in a springy color, and when I discovered this green Lorna's Laces yarn in my stash, I cast on quite eagerly. I also accidentally started a sweater. During my yarn-buying binge at Windsor Button before it closed, I bought some Cascade 220 in a sort of dark bright blue. Every time I find a pattern that I want to make that calls for worsted weight yarn, I think of that yarn but it never seems like the right color. In the Winter issue of Interweave Knits I saw two sweaters that I really liked. Not dressy sweaters, but comfy lounge-around type sweaters that seem like the sort that would gets lots of wear. I tried a gauge swatch for the Winnipeg Pullover, but didn't really like that particular pattern in that particular color. My other option was the Feathernest Raglan, but when I sat down to make a swatch I realized it was knit in the round. I've never really had much accuracy or success with this situation. You can knit a regular swatch of the pattern back and forth, but know that it will probably be off because that's just not how you'll be knitting it. Alternatively, you can try to knit it in the round. Swatches in the round can be made most easily by knitting across the row, then just leaving a long piece of yarn in the back and starting at the beginning of the row again. I've done it, and it's messy - I either leave the piece too long, or make it too short, which distorts the whole thing. If you want to be really accurate, you can knit an entire tube, which means using magic loop or double-pointed needles, and it should pretty much mimic how your sleeve will come out. But an entire tube is larger than a small swatch and I am lazy. So I just started the sweater. Because when one is too lazy to make an accurate gauge swatch, it makes so much more sense to knit the entire top half of a sweater for, essentially, a gauge swatch. The yarn looks much brighter in natural light. Inside, it's pretty dark. I'm making pretty good progress on the knitting. Soon I'll separate the arms from the body, try it on, and see whether I should keep going or rip it out and start again. Should be fun. He wasn't a very good student, but David Hahn was nevertheless fascinated by science, especially chemistry. Inspired by the old and out-of-print Golden Book of Chemistry Experiments he received as a gift, David began a series of experiments that grew more and more dangerous, turning his mother's backyard potting shed into a laboratory where he ultimately tried to create a breeder reactor. In the course of his research, the difficulty in obtaining certain materials led him to extract them from common household items, which were fairly large projects in themselves. Before he could finish, a whole host of organizations - including the EPA and FBI - descended upon him, terrifying the neighborhood and bringing his experiments to a halt. Science has never been my strong subject, but I found this true story fascinating. Woven into David's story was a great deal of information about the history of nuclear science and the quest to create a breeder reactor - a nuclear reactor that creates its own fissile material to generate energy. Although written for a teenage audience, I didn't understand a lot of the the science (at which I have never excelled), but that's not essential to appreciating the story. It's more about this boy and his obsession with the project, and the lengths he was willing to go to achieve his goals. Despite how dangerous it was, I was actually a little envious of his focus and dedication, not to mention his aptitude for science. The story took place in the mid-90s and I was inspired to try and find out whatever happened to David Hahn. According to this article, he never really changed much, continuing to conduct science experiments while not really focusing on a career. He has been diagnosed with schizophrenia and bipolar disorder, and was arrested in 2007 for stealing smoke detectors for their radioactive parts. I really wanted to hear that he had become more disciplined and pursued a career as a scientist, because he truly seemed very intelligent and driven, but instead it appears that his life is pretty difficult and unfocused. One aspect of this story that interested me a lot was related to the book The Golden Book of Chemistry Experiments. I believe it was published back in the 60s, and Silverstein contrasts the content with current books about science experiments that encourage nothing more dangerous than raising worms or observing microbes under a microscope. I certainly wouldn't encourage teenagers to endanger their lives the way Hahn did, but I began to wonder if we're trading valuable knowledge and inspiration for safety. After all, it wasn't a current textbook that inspired David - it was this older, more risky one. What other kids may have been inspired to a career in science if they had the opportunity to conduct more interesting experiments as a child? Soon after reading this book I came across a thought-provoking article in The Atlantic called "The Overprotected Kid" which speaks to exactly these issues. The article is focused on playgrounds, but emphasizes the needs to explore and take risks, and cautions against creating environments that are too safe, and in which kids won't learn to watch out for danger. It's a lengthy article, but I recommend at least looking at the pictures and the 3-minute clip about a playground called The Land, where kids are free to engage in exploration and can even set things on fire. 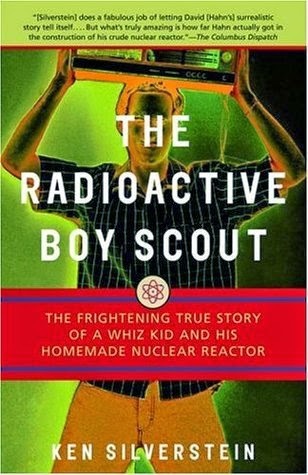 What I love about a good nonfiction book is how it can be a jumping-off point for learning about related topics, and I'm sure The Radioactive Boy Scout will generate some great discussion at the upcoming Not-So-Young Adult book group. 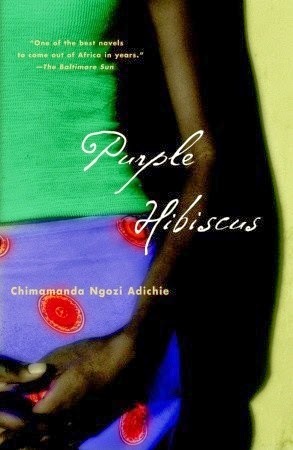 Have you read any great nonfiction books written for teenagers? I'd love to suggest some more to the book group. You may have noticed the blog being down frequently in the last month or two. We're having some server problems that are too boring to go into here, so I'll just try to distract you with a cute picture of my cat, Clarence. Isn't he adorable? It's like he's reading this, except he's far too stupid to understand words. Actually, he's almost 19 years old and deaf as a haddock (as a former coworker used to say). He's like an old man who no longer bothers to comb his hair and can't remember why he just came into this room so he may as well just take another nap. He's still friendly and affectionate though, and I'm just glad he's still here. Our days left together are numbered. Hopefully the blog issues will be resolved quite soon. Stay tuned for a book review in the next couple of days - it should be a pretty interesting one! During the Siege of Leningrad, Lev Beniov is arrested for looting and thrown in jail with a deserter named Kolya. They are given a chance to escape execution - by bringing a dozen eggs to to a powerful colonel who needs them for his daughter's wedding cake. Food is so scarce at this time that people are eating their pets, paper, and each other. But Lev and Kolya are determined to find eggs to buy their lives, and embark on a dangerous and unforgettable journey around Leningrad. Best described as a tragicomedy, the horrors that Lev witnesses are softened for the reader through his (albeit dark) humor. How else can one deal with so many close calls, so many gruesome deaths? Lev and Kolya often silence their banter in such times, but only for a bit, because they need to go on. What choice do they have? They have their own lives to think of. Throughout all of this it is bitterly, bitingly, bone-achingly cold. I read most of it while huddled under an afghan because it was so cold here too, but of course that was nothing compared to what these Russian youths endured. In one scene, they approached a soldier from the back only to find that he was frozen dead in an upright position. This wasn't just cold; this was Russian cold, and it only enhanced the feelings of desperation throughout the novel. When Lev and Kolya occasionally arrived someplace warm, the atmosphere completely changed, and the happiness and comfort let them forget their troubles if even just for a short while. What keeps Lev going throughout all of this is Kolya. Relentlessly upbeat, Kolya entertains Lev with stories about all the women he has had (Lev is younger and lamentably unexperienced) and expositions about literature, especially a novel called The Courtyard Hound. Kolya's optimism and easygoing self-assurance reminded me a bit of Boris in The Goldfinch, and I wonder if that's a set of traits common to Russians or just to their literature. Either way, he made an appealing counterpart to the less confident, anxious Lev. Though they began as strangers, their friendship strengthened through the course of their adventures and their growing loyalty to one another provided the most touching moments in the story. This is all couched within another story. The opening chapter is told from the perspective of Lev's grandson, visiting his grandparents to get information about the Leningrad for an autobiographical essay he needs to write. As usual in this kind of setup, I completely forgot about this outer story. It wasn't completely necessary, but it was amusing to re-read that first chapter after finishing the novel.